Sign request is easy to use, affordable and connects easily with some of my favorite Google Docs tools for easy to maintain automation. I also really like that I can keep track of all of my signers and they automatically receive reminders if days pass without them signing. Instead of having to keep track of things in a spreadsheet or pay someone else to keep track, I can just login to my account and see who's documents are missing. It definitely saves me both time and money. SignRequest meets my signing needs quite nicely so I don't have any complaints. I would definitely recommend that others use sign request. There's plenty of functionality on the free plan and the paid plans are affordable. This definitely works for me as a small business. I needed a way to automate document signatures and was able to do so easily connecting SignRequest to my google docs account. I was able to create a process within google docs that allows me to add a name to a spreadsheet and then automatically create a document and request within sign request, and email that document to the signer, simply by adding that name to the signer. "A perfect free fit for simple needs"
I was delighted to find that SignRequest has a comfortable free level for those of us that only need a few things signed / month. I was frustrated that most other offerings had a very low document limit, or were very expensive with way more features than I need. This has a simple feature set that matches my needs for easy document uploading, use by myself and one other team member, and easy-to-understand formatting for the clients I send the documents to to be signed. It can open straight out of google docs, and it's very simple to use. Nothing to dislike, fits great for my needs. Start with the free version and give it a go. If you need to upgrade, the upgrade is reasonable and walks up to the higher grades without a huge cost-hike. "SignRequest is the best "
SignRequest has a very clear straightforward UI. It's easy upload the document, and then go on to determine exactly who needs to sign it, whether just "myself", "self and others" or just "others". You also have the ability to cc other users for their information. You're able to add signatures to the most common document formats: docx, pdf and txt. The site did warn that complex docx documents may be changed during the process, but I certainly didn't experience any issues at all. I'm not sure I'm comfortable with the document being uploaded into the cloud. But then I'm a bit old skool when it comes to privacy. I did read through the terms and conditions of use (which are available on the website), and came away feeling somewhat reassured. Apart from that, there isn't anything to dislike. Try it out. You'll like the ease of use. I didn't really use SignRequest for business purposes. I just needed a verifiable signature on a personal document. Other competing options didn't really fit the bill. It certainly beats the old skool methods sending documents for signing by post, or printing, signing, scanning and emailing back to the originator. Finally we have a proper 21st century solution to a problem that existed for hundreds of years. 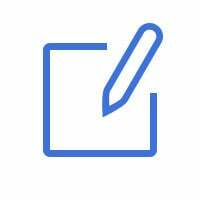 I'd certainly recommend SignRequest for anyone needing the ability to add verifiable signatures to their documents in a business context, whether as an end user, administrator or any other role. "Good option to use while not paying for a monthly plan"
The interface is easy to use and you can see when the recipient has viewed the document. This was easy to set up for a first time user. I can potentially link this up with my gmail or other Gsuite apps/integration. It makes it easy to upload a document/pdf and add signature notifications for specific people. I was not aware that I had to put a credit card info down for the free trial until AFTER I sent a document to a client. I was happy I was still able to view the document however. The paid plans do not seem unreasonable. But I only need the features that the free version has. It seems like the paid version would be nice if you have to keep a large database of signed documents, but we keep all documents, then print them out, and store in files so we do not need to pay for that service. The problem I am facing is that when sending contracts to clients after making a sale, they do not always return the signed document right away. People are much more inclined to sign right away if they don't have to print out a document so being able to sign online without getting out of your desk makes it much easier. I do not need contracts signed except for about 5-10 a month so hopefully the free version will be all that I need to keep using this product. How quick and simple it is to communicate terms and agreements for contracts with customers. No need to be in the same room. It is professional and my customers love it. The way to use the system is so simple. The document upload is fast. The ability to just drag and drop items is is brilliant and customers love it too. I also like the email notifications and the ability to easily import the complete documents into Google Drive. This is great as they are on my device wherever I go and can be quickly referred to when with a client. It would be good to have the option to add multiple documents and receive a signature on each one. The lack of features available to free users. It is quite expensive to pay for as a small business. A smaller, lower cost package would be good for those who sign maybe 20 pdfs a year. I dont think there are any other issues with the product that I have seen so far. I would certinaly like to buy in but as previously stated it is rather expensive for a small sole trader business. Very good prduct and easy to use but can be expensive to buy into for small businesses - particularly sole traders. Signing of contracts for commissions of work. Particularly when the user is far away and post is just too slow or the printing and then copying of a signature is just not efficient. SignRequest is quick and easy to use. I don't need a lot from an e-signature solution, I just want something that will save me time. Everything I've needed has been very intuitive to learn and leverage. Also, as I have used the tool more, I've started to explore some of the more advanced features such as copying versus alerting additional recipients and have been pleased with what I have discovered. It is not 100% clear what the optimal size of the signature box should be. I've had a couple documents with very large / very small signatures. This is not a big problem, it just looks a little funny. SignRequest's free trial gives you a very good sense of the features the solution offers and is quick to setup. SignRequest saves me time and energy. I am getting signed agreements back more quickly and it is easier to track the status of documents that need signature. "Great software - comparable to DocuSign in feature, but for free"
The ability to determine where to sign on the document, allow multiple signers and ability to send documents for signing via email. It's also great that it's free. It supports workflow functionality, allowing you to send signature requests to multiple individuals and allows them to sign the documents in a certain order. It also support audit functionality and send signature proofs. It does not have an option to sign using initials, the signatures sometimes spill over the designated signature box resulting in confusion. Signatures sometimes don't line up. I also wish it had the ability to auto-identify where signature and initial boxes should be placed, instead of having to do so manually. This would save a ton of time. If you're looking for a basic e-signing tool that allows you to send signature requests to a few people, then go ahead and use this. It's a little more difficult to use compared to leaders like DocuSign, and might need some trial and error to make sure that the signatures appear correctly lined up on the document. But overall, it's a good tool. Having my renters sign a lease via email. It saved me the trouble of having to drive 30 miles to have them sign the lease. "Solid alternative for the Enterprise-level signature tools"
It works. It's easy to use. It's simple & straightforward, without too many settings to confuse you. In short, it gets the job done. Templates make it easy to create & send new contracts on the fly. This is a good tool for bootstrapped companies that need a way for prospects to sign agreements in a timely manner. SignRequest even has automated reminders, so you don't have to worry about bumping up the document to the top of the prospect's inbox. The user interface takes a bit of getting used to, even after you've sent out a dozen contracts. But that's okay, because every software has a learning curve. After you're up and running there is nothing to dislike about it. I wish they offered US-based support. Do the 14-day free trial & use it up to decide what you want to do. We needed a digital signature platform to expedite our sales cycle by making it easier for people to engage us. Although SignRequest can handle Enterprise level needs, we did not need a solution to meet those kinds of needs; so we got what we needed plus we claimed a small cost savings immediately, which every small business can appreciate. "User Friendly Online Signing Service"
It is easy to use and easy to sign. Your signature is save and the date is easy to select. I do not like that if you have the free version (I do as a college student), the documents are not avalible after signing on your account. Only the most recently signed document is avaible unless too much time has passed. Sign request is great. You will want to invest in the subscription if you want to sign many documents through this service. I am being supervised and need my supervisor to sign off on all of my documents. She is only at the clinic with me once a week and sign request allows me to send her my documents and finalize them during the other days that my supervisor is not on campus. "Awesome app to get quick signed contracts"
UI is not very intuitive. After I sent a contract, it flashes the name of a pending contract which confused me whether I sent the correct contract out or not. Also it is not clear by default how many days would the sign request take to expire. Biggest challenge was having customers sign contracts. After they have agreed to all the terms, it still took time because of them not having access to printers, scanners, etc. This solves a major problem for us where we are able to send out contracts and have them signed quickly. At least speeds up one step for us. Fast and convenient, meets requirements, and reliable. The user interface is convenient to use. What is to be done and how is easy to find and navigate through. Overall experience is good, enabling us to get the job done. It should give the option to make drawn signatures mandatory. Also, it is difficult to figure out the exact placement of the signature when the box is placed. Finally, there should be an app that allows allows for receiving documents and signing them and sending them back. Other than that I haven't come across any issues. Time savings, customers signing in the right places. Many customers have difficulty with paper and therefore delay the turnaround time for signing documents. This solves that problem. As a result it makes the overall business processes faster. "Great Alternative to other document signing services." It works. It's easy. Backs up all docs to our google drive folders. Creating templates for sending out the same doc to different people at different times is easy. Oh...and the price is way worth it's value. There is some confusion on using teams, and where the email is coming from. We are having a hard time figuring out how to change the "sent from" email address. Other than that, all is good. Just get it. No need to research more. "Excellent free tool for work signatures"
SignRequest is the most professional platform I've seen for collecting signatures, it makes our clients feel like we are an impressive business. It's also convenient, I can send out an agreement for signature in about a minute now that I'm used to the format. And I can resend the document for signature if I don't get it back fast enough. One improvement would be if I could save the document and signature fields so that I could send the same form to different individuals without having to start over in creating it. It is so much easier to get signatures using SignRequest than trying to send people pdfs and forcing them to print and scan the documents. Our clients are much happier that they don't have to waste time on that. "Convenient, easy to use, and perfect for a small business owner like myself. " I really like that it integrates with Google Docs, that I can send out contracts to vendors fast, and I have the ability to customize the number of saignatures. It’s so easy and it’s a game-changer in the business. I don’t like that some features do not work on my iPad. I have found a few workarounds, but it’s pretty frustrating when typing in an email (you can’t paste or preselect from the list below) and creating a signature box for yourself and the other person to sign. You have to do it in a VERY specific order or cancel and start all over again. I would love to see a deeper integration or a mobile app. "SignRequest - Very Affordable, Fast and Easy"
It's fast and very intuitive to upload, add places to sign, and send out our first document . Honestly, the first reason we chose it was because the name sounded more business-like than many other Document Signing services. The automatic reminders. It's easy to see if a person has opened, viewed or signed the document. It was very This is a great service. We can track agreements sent and who we needs reminders. I've never needed the support team, but I've heard they respond quickly. Their free plan is a great way to check out the service initially. We generate PDF documents for signing, which SIgnRequest needs. If your output is something else, select the option to generate a PDF files. If the program doesn't have that option, there is add-ons which one can setup as a printer to "print" as a PDF doc. No problems so far. Agreements can be cancelled, and if they are the recipient is notified. Enter "Message" as you would like the Subject to display in email to the contacts. Take advantage of the "Attach Files" to send manuscripts or other project-related materials. Our production agreements need signatures, dates, and titles. If addresses or phone numbers, boxes can be setup for any number of fields. "I use it almost daily and have definitely recommended it to colleagues. " I use sign request for a reservation form that is short and simple. This software makes it so that clients do not need to come into the office just to complete it. Saves them time, and probably gives me reservations that would otherwise have been lost. I still use the free version since it's only for one document right now. I appreciate it being free, but since there is limited function, sometimes it doesn't do what I would like it to. There have also been some glitches where the input fields move around or have funky fonts. This may just be an issue on the free version. If I get back into real estate investing, I will get the paid version of this in a heartbeat and use it instead of the more well known competition that I used before. You should definitely give it a try. This software gives me the ability to offer a fully online/electronic way for my customers to sign up. This day and age, that is important. Everything is done online now. "Great product. Easy to use." I just love how easy it is to use SignRequest! The feature where I can mark whether a particular filed is required or not for signing/ filling out is extremely helpful as a lot of people don't pay too much attention when signing documents and often forget to fill out/ sign some fields. It never happens with SignRequest as it takes a signer to fields that require his/her attention. Determining the order in which each person signs the document is very convenient when setting up a document for multiple signers. Logging in with G-mail is very nice and convenient too. When signing a document using a smartphone, signature and font sizes do not get adjusted automatically and it's not always easy for everybody to understand that those parameters need to be manually adjusted. For that reason a final version of the document might look odd . Also it would be great if the were more font style options to choose from when typing in a signature. I've recommended SignRequest to lots if colleagues and friends and everybody loves it. Easy to use, time effective, offers multiple options. SignRequest is a very convenient product for team members working from different locations or those who need to communicate with vendors and clients remotely. It is great for those who doesn't always have access to printers and scanners and the quality of documents is great unlike the ones that have been scanned multiple times. I like the options that are available to me. It's easy to prepare the documents to be signed. I've never had a complaint from any of my customers and many of my customers are senior citizens. I also utilize the option to have copies of the signed documents. I also like the option to personalize my message to my customer. I can't think of any right now. I remember I didn't like DocuSign haha. I recommend supporting this product because it's great. I will eventually do the subscription, I just don't want to now because I am the only one in the company. Having a signed document from the customers. While I can do that at the store, I have customers who are travelling to different places. Having this option makes us more attractive to them than our competition. I decided to use SignRequest for my business after using EchoSign (now called Adobe Sign) and HelloSign. I found that all 3 products work well and are easy to use. However, SignRequest offers the best feature set for the lowest price. At $8/month with SignRequest, I get unlimited templates, which would cost me at least $15/month on other platforms. Even with other features and other pricing tiers, SignRequest is a better value than the competition. There is a bit of a learning curve -- sometimes it's hard to tell the difference between different options you're presented (e.g. "Prepare Document" vs. "Sign and Send"), or how to accomplish different but similar-sounding goals (e.g. sending copies of the same document out to different customers, or having multiple parties all sign the same contract together). The free tier is pretty good too so there's no reason not to try it out! It's nice that it makes it easier for my business partners not to have to print & mail documents to me, but even if they don't mind doing that, it puts a lot of burden on me to scan paper documents that I receive in the mail. We have clients sign off on artwork before printing. This is an effecient way to complete the task in one easy step. We have all had a slow start perhaps due to not quite understanding all the components. Maybe the instructions could be easier to understand. Some of our customers have trouble figuring out how to return it. Each time we use it we get more comfortable with it and better able to tell the customer how to sign and return. Sometimes our customers have difficulty understanding how to return the sign request. I think it is because we are new and still learning how it works. Overall, we love the product! Expediting authorizations for permission to print documents. We are saving time by only having ONE step. Check the box marked and sign. Then return. It is saving 2 or 3 email communications which saves time. "SignRequest has helped me automate and reduce admin costs"
When I started my company, I experienced bottlenecks in my sales process. The hardest part was not the negotiations or pitching, it was getting people to finally sign. With a traditional pdf/print/sign/scan/email it was taking way too long to get people to commit. Sometimes the wait period for the customer to sign was so long that I would lose the deal. SignRequest made conversions much faster. Because it's a cloud product and everything is digital, it helped me continue being virtual and mobile so I can still get work done from anywhere. I never needed a printer/scanner for signing documents again! There's not much I dislike about the product. So far it's met all my needs. The tiniest drawback is having to fumble around adding signature and print boxes without a preview. Sometimes I think I put the box in the right place only finding later after the customer signed or printed, that their addition is 3 times larger than I thought and almost hits the edge of the paper. I'd also like to have a better date picker mechanism. Hours doing paper work have been reclaimed which is a relief and sales conversions have been easier to make! "Best eSign solution I've used - ever." The ease of use and overall quality of the platform at an incredible price of free. Zero training required, we just have to write contacts, upload, prep, and send. Almost entirely hands-off. That it took so long to learn about! Also, the signing order/multiple signatures could be explained a bit better, but this is a *very* minor complaint. Use it! The base tier is free and gives a full suite of features that is adequate for most businesses, and their paid plans are incredibly well priced. We recommend it to all of our clients who need an esignature solution. SignRequest let's us send and sign contacts with exceptionally low time overhead, and zero financial overhead. It also accelerates the signing and acceptance process for clients, letting us close deals and start projects faster than before. Other platforms did not offer value for their price point, and we found it cheaper and easier to use signable Adobe PDFs than their offerings. SignRequest is very simple and easy to use! I love that you can prepare the document for those who will need to sign. It also allows you to choose what tasks you would like to assign to others- whether to sign, approve, or just receive a copy. It's an amazing tool for smaller documents such as disclosures, waivers or simple term agreements.This tool is very useful for those in an administrative role, but is easy enough for anyone to operate. I am only using the Free version, but I still wish they allowed you to change the document name/subject line of the email. I also don't like that you must select the text sizing yourself every time for the same document. I wish that I was able to save text settings for the prepared documents to just change who signs where. Definitely use SignRequest! It serves multiple avenues for your company, and you are able to adjust this for your own needs. This tool is very useful for those in an administrative role, but is easy enough for anyone to operate. It's an amazing tool for smaller documents such as disclosures, waivers or simple term agreements. I love the added benefit of assigning different individuals to sign the document. After all have signed, a copy is sent to all involved. I'm also able to forward a copy automatically to the Director, which saves an additional step in business endeavors if additional approval is needed. Often we require written authorization from folks who are not in the same city. Electronic signatures allow for this process to proceed efficiently and effectively. In addition, the log of these electronic signatures eases any concern from an audit perspective.. I have found that on occasion, when I request the signatures of others, the signatures are not lined up in the correct area on the document. In addition, I would like the option of choosing the size and type of font used for the date. Because authorized signatories are frequently out of the office, by requesting electronic signatures, it does not delay the process of finalization and approval of reports and other documents. "Great program for the price"
It has a free option to start with. You don't need to be an expert on how to set it up either. The software notifies you when they have signed and provides you a copy in your email ready to download for your files. I wish their text sizing feature was a little easier to deal with. I was shrinking the size of the box down, to fit the lines (fairly good size ones) to find out that their text was shrinking down as well. So just note that, or make your signature areas bigger. We use this software to send contract proposals to our new clients to sign before we commence work. "Great service. Very convenient and easy to use. Our entire team loves it! " I have been using SignRequest for almost two years now and so far I love it. I started with a free plan from SignRequest ( which by the way provides one with decent quality electronic signature services at no cost!) and I loved how convenient and easy to use SignRequest is. A few months later my entire team was using SignRequest. We recently switched to a paid plan which gives me access to more advanced tools and makes my life even easier. I definitely see the value in switching to paid plan and would recommend everyone trying it considering that the licenses are reasonably priced and provide access to all the signed documents, even those I forgot to save right away. Again, the prices are reasonable, so I find this to be a very good investment. I also love the sign in with Google/ Facebook feature. When using a mobile device to sign a document a signature might be of an awkward size (usually too small). It would be great to add a note to the signer that he/she can adjust the signature/ text size. SignRequest is an awesome tool to speed up document signing process for companies that have employees working remotely and those who have customers/ partners all over the world. Both paid and free plans work just great! SignRequest is very user friendly. All our team members find that SignRequest is super easy to use, and very intuitive. Everybody loves the ability to customize all possible fields. Great software! Highly recommended. Most of our employees work remotely and at the same time we have a lot of internal and external documents that need to be signed by one or more parties. We also have a lot of out-of-state & out-of-country clients and SignRequest is a great tool to speed up document signing process. "A must for Service Workers"
Sign request has been a great tool for me and my run training coaching to easily send legal documents to new clients. The free version was a great introduction and at times I've upgraded to paid. Just today I've suggested this service to a peer. Forgive me if this is already a service available and I have not found how to use it, but I wish there was a way to create a link for a template and simply send the link to people to digitally sign the template. I started with the free version and it was a great introduction and I am actually using the paid version now and very happy with it. It's inexpensive and a nice upgrade. "Makes Working From Home a Breeze!" I like the speed and efficiency. It also saves me a lot of money on ink for my printer/scanner, which I rarely use any more. I still wish there was an easier way to "draw" my signature, as it looks like I have very poor hand writing, but that is just a minor drawback. If you need a quick, easy and efficient way to sign internal documents, especially if you work remotely, I highly recommend SignRequest. I work remotely from home and have a number of internal documents, such as expense reports, time off requests, etc that I have to completely monthly or fairly regularly. I also have other occasional internal documents like benefit packages notices, etc that need signed in a timely fashion. It makes signing and returning these documents to my employer so much easier than my old process, which consisted of printing, signing, scanning and then emailing back. I like being able to send out documents to be signed without having to print it 20 times, only to have 5 people lose the papers or spill coffee on them (meaning I have to re-print them). It's more cost-efficient for college students who have to pay for every page they print. You can have someone sign it and then upload it as a PDF without ever printing anything. It's also nice because if you "prepare" the document, it tells them exactly where to sign, initial, date, etc. You don't have to be there with them to explain, "Please sign here, here, and here. And initial/date here and here...."
The signing software is a bit buggy at times, and it can be confusing for whomever you're sending the document to. For example, if you prepare the document by telling SignRequest exactly where you want the signature and date to be, about 3 out of 5 times the signature will be either the wrong size, in the wrong place, or both. Sometimes it even looks right after they sign it, but when you download it, it messes up somehow. It's not my computer, it's definitely the software. I alerted SignRequest to the issue last year, and they said they would look into it, but a year later, it still does it. Make sure people know what it is first before sending them a request. A lot of people tend to assume it's junk mail if they don't see your name or expect to have to sign anything. Also, HUGE tip: Do your first signature on a tablet (preferably with a stylus). It looks 100x better and SignRequest will save it, so you can use the quality signature in the future, even on your laptop. No business problems. My only issue has been with software glitches (detailed in response for what I dislike) and the lack of a fix. Benefit is that it's all electronic, so you don't waste money with printing. It's quick and easy and best of all free to use for only one user. We liked it so much that we converted to a paid subscription so we could do more with it. I like that we can choose how many need to sign and even the order in which each person needs to sign. I wish all the attributes were available for the free version - but I understand they can't be! Now that we have the paid version we like that we can store the signed docs directly in the program. There are several programs out there to collect signatures. I've tried several of them. Sign request has the same features of those that charge quite a bit. I send 100's and it's free. Can't get better than that. Other programs were not cost effective because of the number of items I need signed. With this program, even the paid version is still cost effective. "it works for some things"
Sign request does make it very easy to create documents for others to sign. You can indicate where and how to have people sign and it is great with notifications. Sign request seems to have a lack of unifomity with payment and payment plans. On the "prices and plans" page is has 3 options and prices. Then when you pay the prices change and there are different plan names. Then they would sneak extra fees in to use other options of the service. Before you know it, you're paying the same as DocuSign. Read all the fine print of prices and plan benefits. At first it seems like it is a more affordable option than DocuSign but depending on what you need it for, it may not be. SignRequest needs to work on their website to have prices and plan match across the pages and have better customer support. Signrequest did not work for our small business. It turned out to not be affordable because there were extra fees to use the bulk feature that we needed. Also, it was hard not being able to talk to anyone on the phone. They only have email support. "Great app, simple to use for all types of individuals or business owners"
The simplicity, the design and the overall experience is great! I've been using this for several years now and it honestly is the easiest app the use compared to everything else I've tried. Something which I also love is the fact that the free version isn't as limited compared to other products out there. It is great for me as an independent consultant as I don't have the funds to pay excessive amounts on an app such as this. I don't like how the documents are inaccessible after you've completed several (on free), however I of course understand the reasons behind this, which are more than fair! Use this!! Really great app for independent workers or small business owners alike. It's a great way to create and sign legally binding documents without having to go through the hassle of using paid apps such as Adobe or other alternatives. If you use a lot of documents that require documents, you need look no further than sign request. It's a really great app to use, that'll create legally binding signed documents in a matter of minutes. Its also super easy to add contacts needed to sign, just simply highlight the particular area, as well as include the date (that can also come pre-filled in) - saving you the hassle of having to do this yourself. The fact that SignRequest is integrated with Google docs and the output being a .pdf document with digital signature was the main reason for me to use Signrequest. It is simple and easy to use, so not much training required for new users. I think the process from requesting a signature to having the actual signed document could be streamlined and simplified (less steps to get there). Having an app would be very helpful, since users will always be logged-in on mobile devices, therefore stramlining the process. SignRequest has been a very simple way for us to incorporate electronic document signature. It's intuitive, simple to use. The main problem I am solving with SignRequest is getting documents legally signed without the need to ship physical documents. With the simplified and very intuitive UX, it has been very simple to incorporate signrequest into our process. Therefore simplifying and expediting our old process used (shipping documents back and forth for pen/ink signatures). "Very great alternative to other e-sign systems." The free version is very powerful, and easy to add sign locations on documents. It is also pretty lightweight and easy to use. I really like how easy it is to set-up the document to be sent out. There is very little to dislike, but I would say that the way the signature panes are resized could be easier to use. Maybe you could try some to use some algorithms to make the blanks automate to the size that exists in the document. This application is far superior to other e-sign systems. I would consider this product before using any other application. I think that the free version can be used for many personal uses, or even on a business level. Fast and easy finalized signatures. Gets a customer to the final signature faster than any paper contracts could ever. The program is really simple to use. If someone doesn't sign something, sending reminders is not difficult, and downloading the finished document is easy too. The free program is great for us, but even if we needed more volume, the price point is highly competitive for what you get and the ease of use. I wish there was an app. However, that doesn't stop me from loving and recommending this product. Sending PDF files that need to be commented on from my companies owner. Its much easier than having to type up an email and send note for each page. Now the notes can be done right on the document. I really appreciate how easy it is to use this tool to send out contracts and really get things done in my business! I love the pricing of this product and really appreciate how affordable this is! I wish the standard version I could keep documents in there or edit the doc inside of sign request. Hands down, you need this if you want something easy to add in your business! I was able to really streamline my business onboarding process. It really helps save me time and really help me make it only take minutes to get a new client onboard. Hands down recommend as my clients love it too! It is much cheaper compared to its competitors. It is really difficult to adjust the input field text font size. Only solution I have found is to manage it by trial and error by filling in the form myself for testing a few times. Also it would have been nice to have the option to fill standard fields like date automatically for each date field in the form, in SignRequest you need to fill them one by one. Provides what it promises so I recommend that you give it a try. Having clients throughout the world, SignRequest makes it possible for us to have our clients sign our contract easily. "SignRequest is a very helpful tool getting signatures quickly and easily. " I like that I don't have to send things through the mail and wait for documents to be returned. I also like that it will automatically send reminders to the signer every few days. SR tracks what's completed or not, and where it is in the process. It shows when a person has viewed it or not, so you know if they have seen it or not, or if they haven't even opened it. This program is very helpful overall. That not everyone signs documents in a timely fashion. Luckily there's an auto-resend option. Not much else to dislike about the program. I wish that in the signing log, it would document each time a document is re-sent to the signer. That way it will tell you if you've attempted only 2 times vs re-sending it 10 times. The sign log could be more clear. As it is now, it's a little overwhelming to read, so most of the time I don't even attempt to look at it. I wish that there was a way to edit the document after it has been sent out. It would be helpful if there was maybe a 10-15 minute window to allow for changes to be made. Most of the time it's just changing the order of recipients. Always click to have SR automatically send reminders every few days (it will do the work for you). Once a receiver/signer gets familiar and comfortable with how it works, you don't necessarily need to set up the document for them. Just have them click where they need to sign and date it, and have them complete it. Not having to send documents through the mail. It saves time and money (not having to pay for postage). Also, it automatically saves things in the Drive, so it's there as a backup if needed. The ease of usage and also the team contacts you immediately after you sign up to see if you have any questions or concerns. The software is really easy to use and I can edit any signature and add any signature on the document easily! I like that I can receive the document immediately via email. We are a webbed mortgage company, so we really like that feature for our clients. Nothing, I really like the ease of use and the prompt communication. I was very impressed that a team member immediately reached out to me as soon as I signed up for the Sign Request. Be sure to respond to the initial email from SignRequest that inquires about your experience. They really respond back to you if you have any questions or concerns! I use it with our HR team who is out of state to sign documents for myself. No need to print out documents and scan in! Saves our business time and money. We can also email documents securely to our clients and they can sign them immediately and get the forms back to us. In our industry being prompt is very important! The quicker we can get documents signed, the sooner we can push our files through to help our clients! "Great Service, Intuitive to Use"
I love that I can quickly access send and receive signed papers all from Google Drive. That was the most attractive thing to me because we have all of our client information shared on Google drive. So to have something integrated and easy to use is amazing. Additionally, the service is intuitive not only for us but also for our clients. Rarely do I have to give additional instructions to my clients on how to sign - they can intuitively figure out the minimal steps on their own. What a great product. Very little to dislike but one thing I would recommend would be to allow a user to set the default for who needs to sign. For our company we always just need others to sign so we want that to be our default. Just use it. It rocks. We looked and this is the best product in our opinion! Our primary business benefit is having our travel clients sign our terms and conditions form. It makes our paperwork really accessible and easy to manage. "The Best Signature Software I've Used!" Very easy to set up! I love that it integrates with Google Docs, where I create proposals and contracts. Then I use the SignRequest add-on to send the request. It's easier and much more cost-effective than Proposify, and saves me a ton of time. I had difficulty loading the software a few times about a year ago, but I think that bug was quickly fixed. Do the free trial! You'll end up getting the paid version, because it saves so much time! I'm saving a ton of time. I don't have to upload anything to any emails. Clients and myself are able to quickly sign contracts via phone. It's just so easy to use. It takes all the blocking and tackling hassle out of document signing and storage. Plus, it interfaces very well with counterparties, making the signature process very clean and straightforward. Sometimes its a little glitchy when it comes to sending completed documents, but everything still works. What I mean by that is there is a timing lag occasionally between 1) signing 2) seeing the signed doc in your managed documents and 3) getting the email with the signed doc. But this is a relatively minor hiccup. It's very easy to use. It's also very easy to implement and get started as a company process. No major hurdles when it comes to rolling our or implementing the use of this tool. Streamline the process of knowing when a counter-party has signed a document. "AWESOME! Much better than the other options!" I used to use Docusign and pay for the business plan even though I did not need it that ofter. Then I found SignRequest. SO easy to upload documents and use. I am VERY happy with it! Give it a Try! I just used docusign because I knew about it, I had not tried anything else. SignRequest is EASIER to use, and does everything that we need! We use it not for collecting lease signatures for rental properties and for doing sale agreements for properties. I enjoy the fact that the GUI is very simple and straight forward. The features are awesome and inserting locations for signatures and other things is very easy. Not much technical experience needed to use it. Nothing but the fact that I have to pay for other features. Less expensive than the competitors and does much more! I am solving the fact that the company I work for doesn't have anything like this and that the new system we have is still lackluster. It has assisted in me being able to communicate with my clients past the session time and getting papers signed. "The Perfect Signature App !" What I like best about this App is that it is very smooth and stylish. The interface is simple with an official office feel to it, with an assurance that your document is secure and professional. I recommend this app to all business individuals and companies. Nothing to dislike. I was searching the internet for other similar apps but nothing comes close. You guys nailed it right off the top! Try it. You will not regret it! SignRequest is very efficient for my use with the Job I hold . I am a Counselor for an emergency shelter located in Sumter, South Carolina. My colleagues and I are required to do our own timesheets and emailing them to the office. We just went to a new format where they wanted us to physically come in person with our timesheets and sign them in person. For me this was a bit complicated to do because of my busy schedule. So I suggested could we do a digital signing and continue emailing our timesheets. And with no resistance it was approved so long as we used an approved app to do the signing. Voila, SignRequest and I have'nt looked back. Thank You for creating such a time saving app. You guys rock!!!! I like how I can sign my documents with just a click of my mouse and never worry about deadlines especially for urgent documents I have to forward to my boss. I don't have any dislikes yet with this application, I think it is perfect for me because it makes it easier and more convenient to sign and send my documents to my employer. I recommend others to use this product especially in signing urgent documents sent by the company online and conveniently sending it back in no time. With SignRequest, I can manage my urgent documents faster. It is a perfect tool for signing and sending documents online without worrying about deadlines. "This service works very well and is very convenient." I like how easy it is to upload and edit a document. It is very nice to be able to push send and have it go out to my client and return right into my email inbox. I am very happy with this company. Twice I have had a client unable to send their contract back to me. I have used this service probably twenty times in the last month. I don't know why their email didn't come through. I had to have them mail the contract to me. I guess I could have redone it. "Works great for my small Multi-Family Apartment"
With sign request being free for a basic account it works great for my small apartment building. I only use it once a year for each of my 4 tenants but it works perfect for my needs. I have run into some performance problems when having a bunch of fields (IE. A rental application). It worked great for my small business. Only ran into a few issues but for what it does and the price it saves me tons of time. I am in the military and no longer live in the same city, state, or even timezone as my apartment building. I used to dread lease time because I would have to generate the new lease. Wait for my tenant to have the opportunity to print it out (or have a family member do it - senior citizens) they would have to scan it and then email it back to me to sign then I would send them a fully signed copy. SignRequest allows me to do all of that in the same step and still generates a legally binding document. "Sign Request - Document Signature Application - Terrific and Simple to use"
Nothing! It's all great. You can pay for an upgraded platform for under $9 a month and have it branded to your company colors and logo. I've done it and it's super professional. I recommend using the branding. Our clients have mentioned that signing documents can be scary but they are never worried when working with us because our Heading/Company Name shows up before they have to review or sign a document so I definitely recommend paying the nominal fee to have your own branded platform. Upload your frequently used basic documents to the platform for easy "grab and go" work. Sign Request saves your settings automatically so you don't have to remember every little detail.....they remember for you! The travel expense and hassle of having to go back to a clients house when they decide they want to sign a contract to do the work! You send the document via Sign Request and get a credit card over the phone and you are done in less than 10 minutes. In the DC metro area this can save you 5 hours or more depending on the traffic. IT IS a real timesaver! "Great for communication between offices"
Sign Request makes it easy to send documents to coworkers for approval and signatures when we work out of different branches or offices. It's very efficient. Workers can sign and approve with a click of a button! So it takes very little time out of our workday. I like that we can upload supporting documents, pick the order of signing and choose to CC people. It's improved our Work Flow a lot! I don't like that it's limited to one supporting document for uploading. I haven't figured out the organization system for signed documents. I would like very much if we could have an archive that was easy to sort by folder, etc. I love it as a means of communication between our coworkers that work out of separate offices. It also streamlines every document that requires approval from separate people, and it's great for keeping everyone in the loop on these documents. * We monitor all SignRequest reviews to prevent fraudulent reviews and keep review quality high. We do not post reviews by company employees or direct competitors. Validated reviews require the user to submit a screenshot of the product containing their user ID, in order to verify a user is an actual user of the product. Hi there! Are you looking to implement a solution like SignRequest?